Personalize and simplify the user experience (UX) for your SAP applications. Using modern UX design principles, SAP Fiori delivers a role-based, consumer-grade user experience across all lines of business, tasks, and devices. 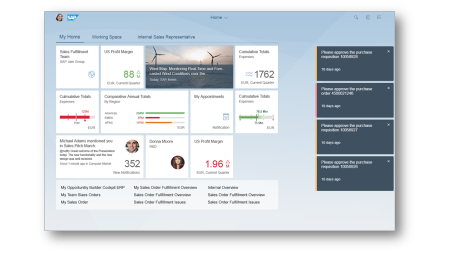 Use Fiori apps, or take advantage of new solutions that natively incorporate the UX – such as SAP S/4HANA, Ariba Mobile, and SAP Hybris Cloud for Customer. This is the leading design for all SAP applications providing a harmonized user experience across on premise and cloud solutions. A new visual theme – named Belize – comes along with light and dark flavors. 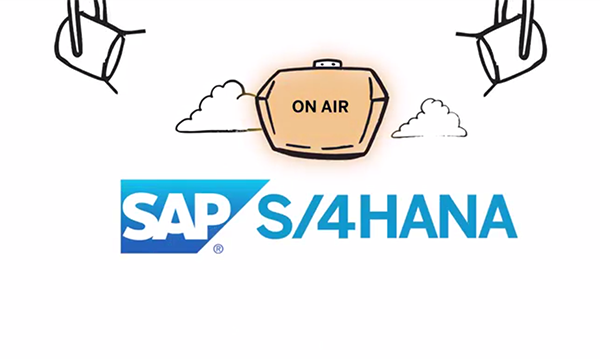 Using SAP S/4HANA, the UI Theme Designer allows you to adapt the theme to your corporate identity. With Fiori 2.0, the SAP Fiori Launchpad is your central and role-based entry point to access all apps. The SAP Fiori 2.0 concept also includes new Fiori elements – Overview Pages, List Reports, and Object Pages – which can be easily developed using SAP Web IDE. Take a look at Fiori 2.0 and see what is available in the SAP S/4HANA on-premise 1610 release. It’s easy to adopt Fiori and integrate it into your existing SAP systems. Ensure a successful implementation and quick time to value with help from the resources below. Explore 5 simple steps that can help you speed up Fiori adoption and achieve quick time to value. Discover how Fiori Cloud simplifies the implementation and deployment of a modern UX. Visit SAP’s reference library for a full list of Fiori apps, including key information, technical data and a relevance and readiness for each app. Find information about the required system landscape and Fiori Frontend Server Landscape Deployment Recommendations. Please see the SAP Product Availability Matrix* for the latest information on Fiori software releases. Use SAP’s Quick Sizer Tool* to get information, guidelines, and tools for sizing your front-end and back-end servers. Optimize your Fiori apps for mobile performance and productivity with its mobile service. 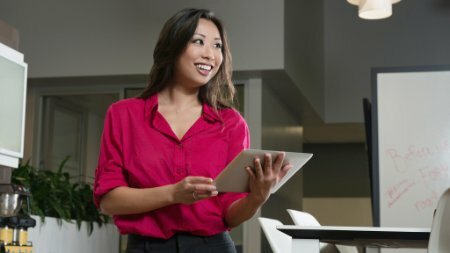 Use SAP’s calculator tool to see how a great user experience can help cut costs across your organization. As part of your scope, consider extending your Fiori apps for transactions that are adapted or customized. We recommend using SAP Web IDE to customize Fiori apps which are all based on SAPUI5. Increase productivity by providing a great user experience with the Fiori apps rapid-deployment solution – a collection of apps for SAP Business Suite powered by any database across multiple devices. This story originally appeared on SAP.com. SAP Fiori, SAP Hana launchpad, SAP Cloud, sap fiori, sap fiori launchpad, SAP Fiori user experience, SAP HANA, SAP Hybris Cloud, SAP Hybris Cloud for Customer, sap ios, SAP S/4HANA. permalink.